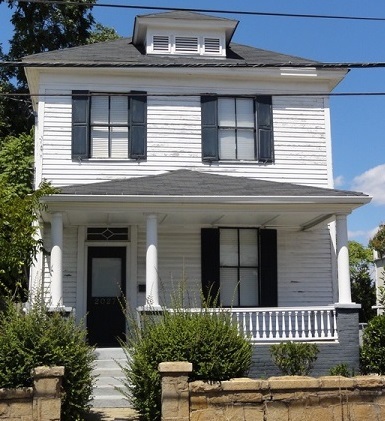 Dr. Matilda A. Evans, a black physician, public health and civil rights advocate, lived here from 1928 to 1935. A graduate of the Schofield School in Aiken and Oberlin College, Evans received her M.D. from the Woman’s Medical College of Pennsylvania in 1897. She moved to Columbia and founded the first black hospital in the city in 1901, in a house at Taylor Street and Two Notch Road. Taylor Lane Hospital & Training School for Nurses burned in 1914. Evans soon opened St. Luke’s Hospital & Training School for Nurses, which closed in 1918.